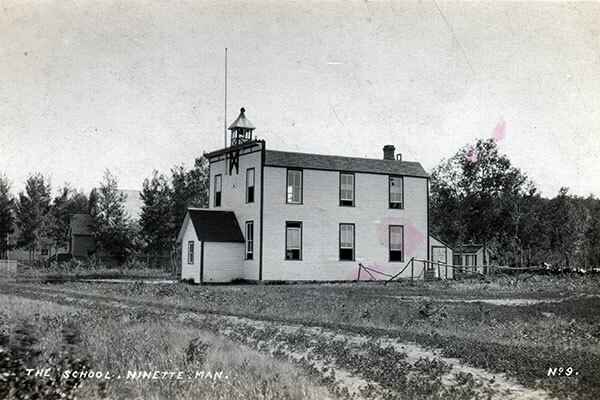 The Ninette School District was organized formally in June 1899 and, for a time, students attended classes above a general store in Ninette in what is now the Rural Municipality of Prairie Lakes. 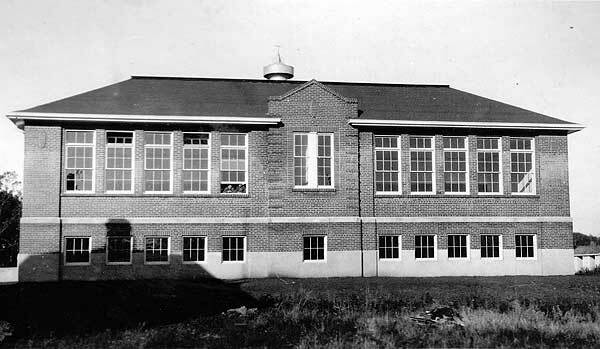 In 1901, a one-storey, one-classroom school building was erected but, around 1912, a second storey (and second classroom) was added, accessible via an exterior staircase that doubled as a fire escape. With growing student enrollment, a massive one-storey red brick structure was built in 1926 at a cost of about $20,000, a twin of Brookdale School No. 1299, Deloraine School No. 490, Shoal Lake School No. 458, and Woodhaven School No. 2093, based on a design by Winnipeg architect Gilbert Parfitt and constructed by Brandon contractor George Epton. Three of its four classrooms went into use following an official opening ceremony on 17 September 1926, presided over by Dr. D. A. Stewart, Charles Cannon, and R. F. Fletcher. The original school building was torn down around the same time. The fourth classroom did not come into use until 1939. Most of its windows were bricked over around 1985, probably as an energy-saving measure. Enrollment at the school declined gradually through time and, finally, with a student body numbering around 10, the school closed in June 2007. The school building has been renovated into a private residence. 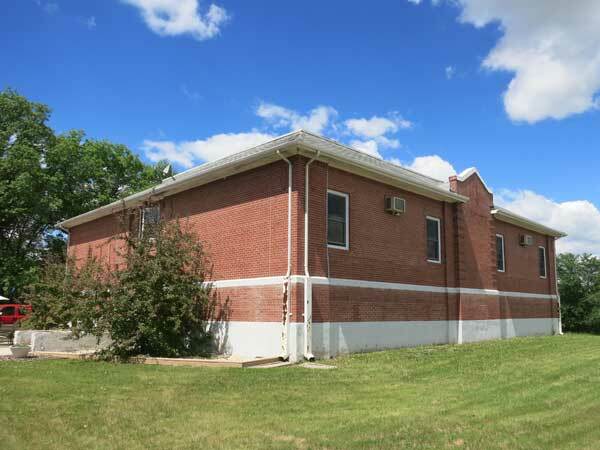 Among the teachers who worked at Ninette School in the early years were: Theodore A. Girling (1900-1902), E. Benson Steele (1902-1903), Arthur Leighton (1903-1904), Leslie E. Grace (1904-1905), Ethel Johnston (1905-? ), Dora Faryon (1911-1912), Mrs. Dodge (1912-1913), Gladys Barkwell (1913), Miss Townsley (1914-1915), Miss Kinley (1915-1916), Miss Frame (1916-1919), Mary Overend (1919-1920), Vivian Newton (1920), Miss Gardiner (1921), Jessie Chalmers (1921), Mary McMillan (1921-1923), Miss C. M. Mott (1924-1925), Jean C. Bell (1926), Janet L. More (1926), Miss Carson (1926), and Katrine Clench (1926). Other teachers included Norman Monk, Miss Goodsky, Walter Cheslock, Les Defoort, and Phyllis Brown Paskewitz. GR8461, A0233, C131-2, page 43. Source: Archives of Manitoba, Architectural Survey - Ninette 5. 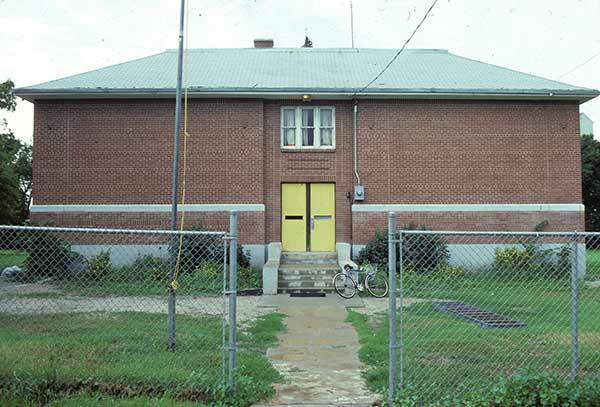 Source: Historic Resources Branch, Public School Buildings Inventory, slide 1098. “Constructional Activity,” Contract Review and Engineering Review, 7 April 1926, page 52. “Ninette news,” Belmont News, 20 August 1953, page 3. 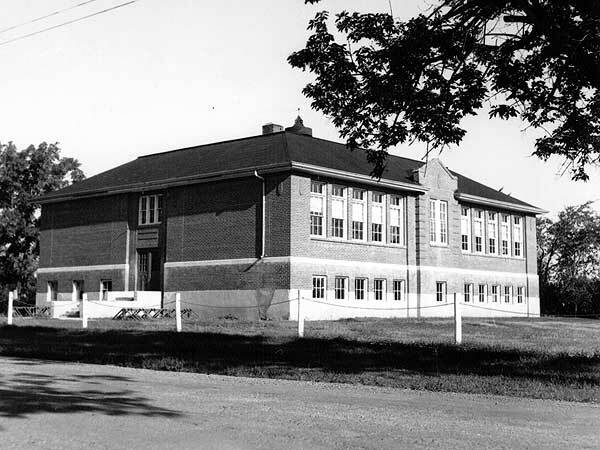 History of the Ninette School by Keith Worden, 1956. “Ninette news,” Belmont News, 6 September 1962, page 7. “Ninette elementary staff,” Belmont News, 11 September 1969, page 5. “80 years ago,” Baldur Gazette-News, 17 December 1996, page 5. “School days,” Brandon Sun, 17 March 1999, page 4. “Ninette school centennial,” Baldur Gazette-News, 31 August 1999. “Ninette School officially closes,” Baldur Gazette, 10 July 2007, page 1. We thank Ken Storie, Ruth McKay, Jessie Myers, Shirley Carson, and visitors to the building’s open house on 17 September 2016 for providing additional information used here. This page was prepared by Gordon Goldsborough and Tricia Tennent.